The original corrugated dirt surface is a thing of the past, and you can only wonder at the bravery of those who raced through the choking dust all those years ago. 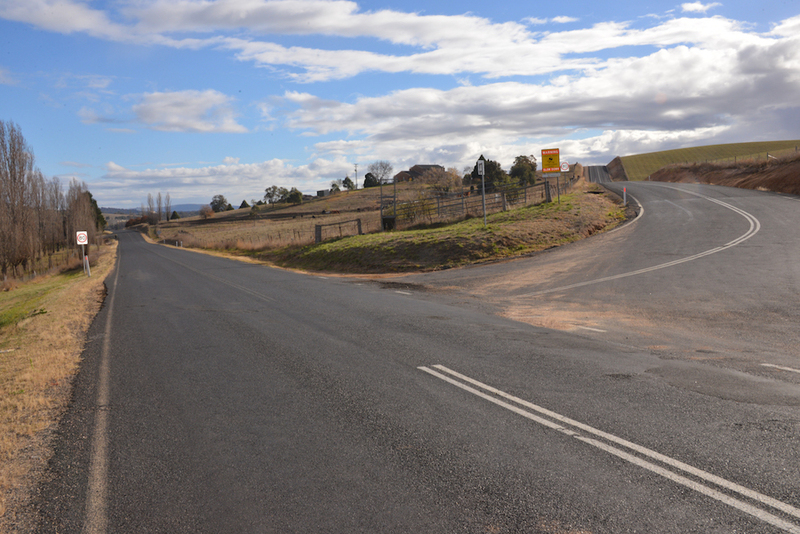 To reach the starting point for a clockwise lap, head up Bathurst’s main street, William Street, towards Mount Panorama, and turn left at Rocket Street. 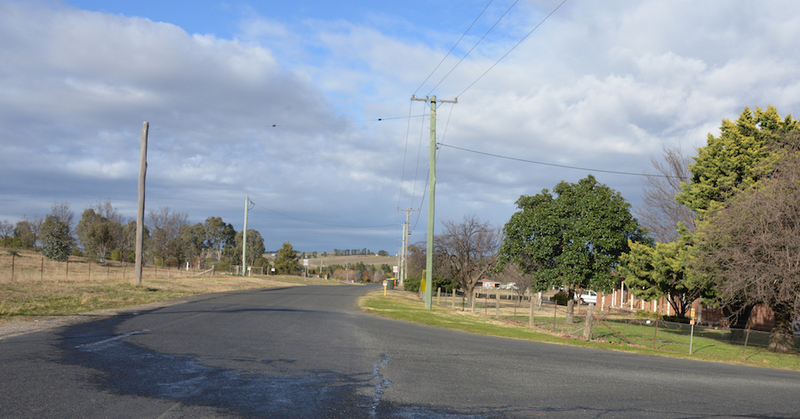 Follow this for about a kilometre until you cross the railway bridge, then turn right onto Vale Road, which is also the road to Goulburn. Another kilometre along this road you will come to the Lloyds Road crossroad. Turn left and you’re on the track! 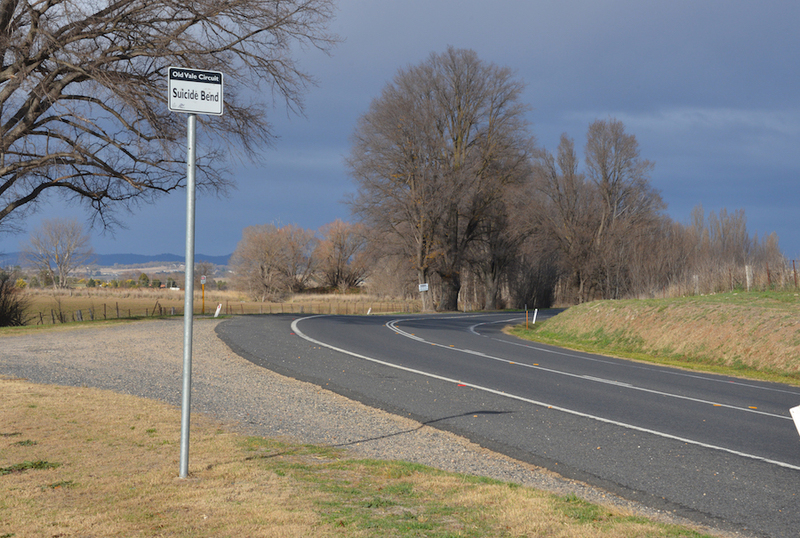 About halfway along Sammy’s Straight the road bends to the left and another sign proclaims Suicide Bend. It’s no big deal at legal speeds, but in the 1930s it would have been a different proposition altogether. Flat out on the rudimentary frames and suspension of the day, flapping over the corrugations through the interminable dust. 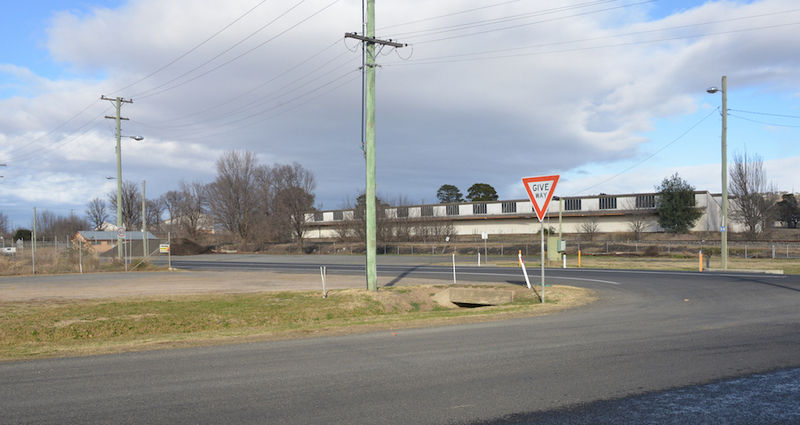 Once across the bridge, anchor up for the Give Way sign at Orton Corner and turn right onto the main Goulburn Road. 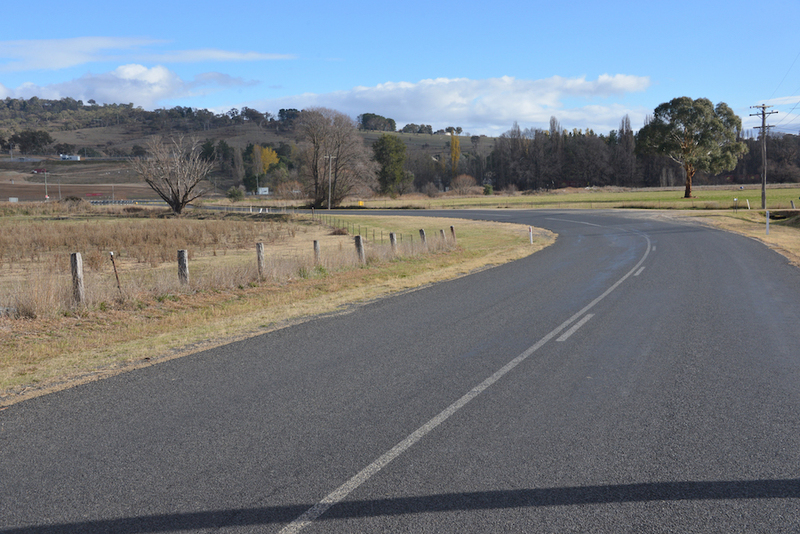 In the Grand Prix days it was full bore from here all the way back to the finish – today you’re restricted to 100 km/h. 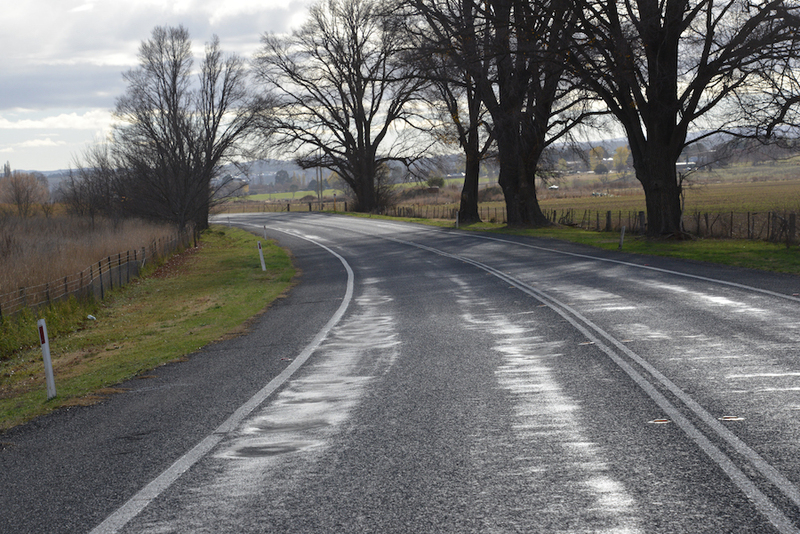 Lined by trees, the road heads north. 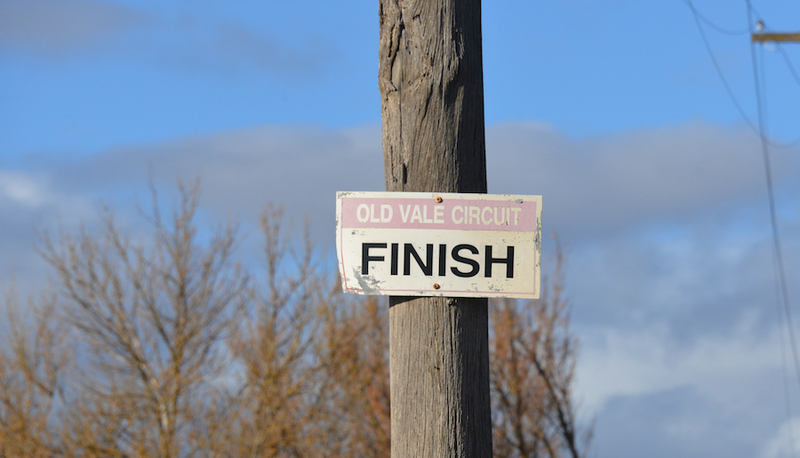 You’ll pass a sign saying ‘Vale Circuit – Sammy’s Straight’ – named after Queenslander Sammy Craig. Still going downhill, a very fast stretch brings you to the left-hander leading over Kable’s Bridge. The original timber bridge lined by Weeping Willows remained almost exactly intact until 2006, when it was replaced by a concrete structure. Still going downhill, there’s another hilltop where the brave got serious air, bringing you to the hairpin at Devil’s Elbow. 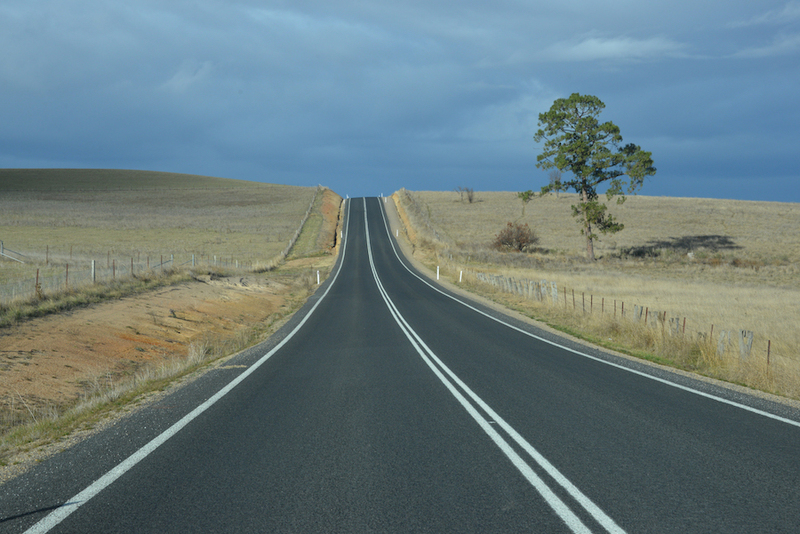 Here you pick up the road that links the village of Lagoon with the Goulburn Road. This corner is a tricky proposition today, so it must have been a nightmare 80 years ago. 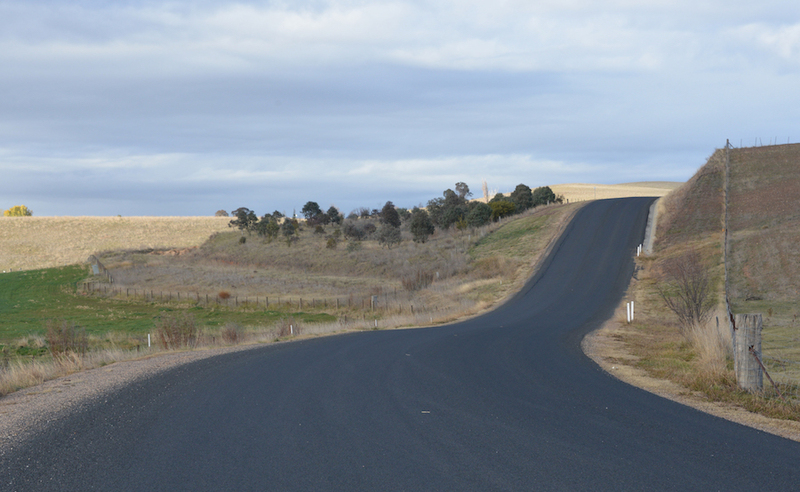 Next, the road plummets steeply down to a right-angle right, followed by a short straight leading to a right-angle left, unofficially known as Hinton’s Corner. In 1932, a young Harry Hinton blotted his copybook by crashing his BSA outfit through the farmer’s gates on the outside of this corner. From that time on, the gates were left open during racing. From the base of Mt Tamar it’s quite a sharp pinch, with an equally sharp descent where spectators gathered to watch bikes take off and soar amazing distances; they marked the distances in chalk on fence posts. The record was generally accepted as Cec Weatherby’s leap of 38 metres – not bad for a rigid-framed, girder-forked Velocette! Here you begin the climb to Mount Tamar. This is the only point where the original lap has been altered, but only for about 300 metres. A new stretch bypasses the old road, which is still vaguely visible on your left. Another squirt up the hill brings you to Palmer’s Corner, a 90° right turn that takes you onto Gorman’s Hill Road. 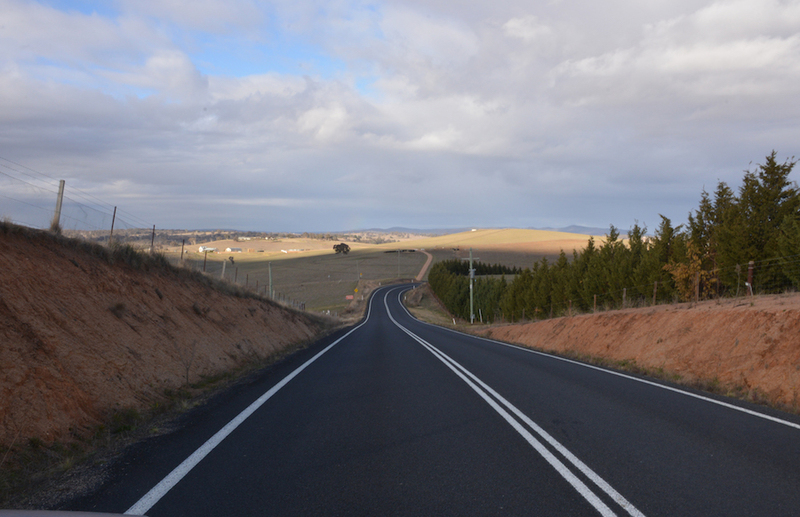 From here the going gets quick as the road drops downhill, past orchards and cattle properties, and through some open sweeping bends that were known as The Bluff. This is the original start/finish area, so begin your clockwise lap by heading towards the narrow Palmer’s Bridge, which is today a left-right flick. Back then it was a rickety one-lane structure set at right angles. More than one rider ended up in Vale Creek after misjudging the approach! Over a slight rise and the old Sale Yards site appears on your right. Almost a century ago, you would have passed under a huge Start/Finish banner strung across the road, with spectators sitting right on the edge of the racing surface.